Can Landon and Megan use prayer and faith to find their happily ever after? Landon Edmunds has been a cowboy since birth, even winning in the rodeo for several years before an injury ended his career. He returned to his hometown of Gold Valley, where he works at Horseshoe Home Ranch as a cowhand, but now he's looking for something of his own. 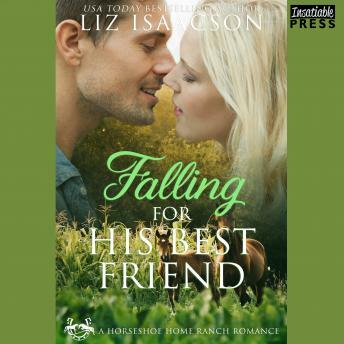 He's thinking of buying a horse ranch and training horses for the rodeo, but when an old high school friend returns to Gold Valley, he turns to construction instead. The preacher's daughter, Megan Palmer needs a helping (cow)hand to get her father's church in good repair so he can retire. Megan and Landon work well together, and as sparks fly, she's sure God brought her back to Gold Valley so she could find her happily ever after--if only Landon wasn't looking to leave town. Through serious discussion and prayer, can Landon and Megan find their future together?